MAC2 standard Lifting Column without mounting plates. MAC2 with 1 pcs. factory-mounted 8mm mounting plate at the top. MAC2 with 1 pcs. factory-fitted 8mm mounting plate in the bottom. MAC2 with factory-mounted 8mm mounting plates; 1 pcs. at the top and 1 pcs. in the bottom. 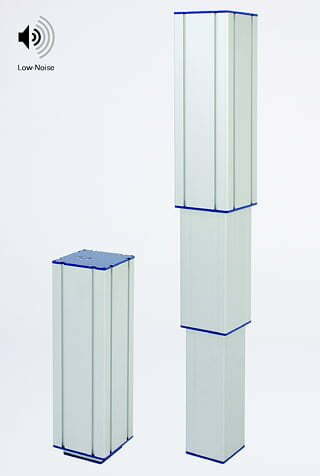 MAC2 is a completely new developed lifting column, designed to meet the requirements of aesthetics and quality in industrial workplaces. 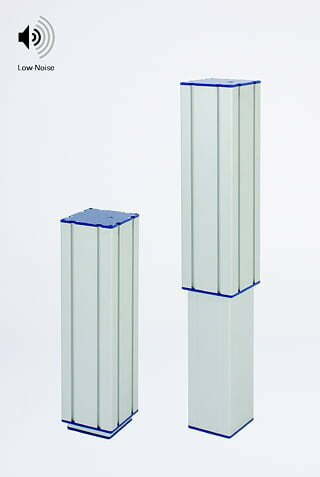 In the development, high stability and a reasonable price level were emphasized. The lifting column is designed for loads of max. 3500N and can be moved up to 23,5mm/s without load. The bending moment is 1000Nm. Plug & Play: You can also get MAC2 as a complete Plug & Play solution, including one or more MAC2 lifting columns, a Movetec control box 230V AC, all cables and a control panel. By Selecting a control box with Bluetooth®, MAC2 are easily controlled by iPhone® or Android®-Smartphone. Options: Bluetooth® controlling for iPhone®- and Android® Smart-phones. Potentiometer. Top- and bottom mounting plates. Cable out in the outer profile (MAC2U). 100% brake. 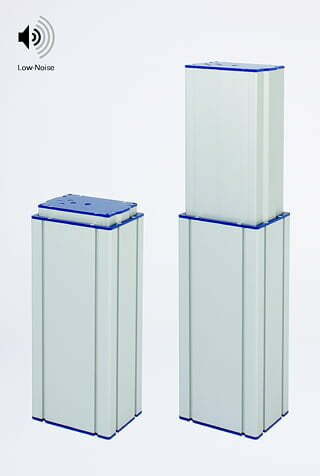 MAC2U standard Lifting Column without mounting plates. MAC2U with 1 pcs. factory-mounted 8mm mounting plate at the top. MAC2U with 1 pcs. factory-fitted 8mm mounting plate in the bottom. MAC2U with factory-mounted 8mm mounting plates; 1 pcs. at the top and 1 pcs. in the bottom. 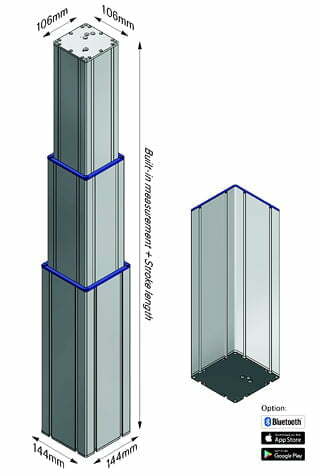 MAC2U is a completely new developed lifting column, designed tomeet the requirements of aesthetics and quality in industrial work-places. In the development, high stability and a reasonable price level were emphasized. The lifting column is designed for loads of max. 3500N and can be moved up to 23,5mm/s without load. The bending moment is 1000Nm. Plug & Play: You can also get MAC2U as a complete Plug & Play solution, including one or more MAC2U lifting columns, a Movetec control box 230V AC, all cables and a control panel. By Selecting a control box with Bluetooth®, MAC2U are easily controlled by iPhone® or Android®-Smartphone. Options: Bluetooth® controlling for iPhone®- and Android® Smart-phones. Potentiometer. Top- and bottom mounting plates. Cable out in the inner profile (MAC2). 100% brake. Low built-in measurement, long stroke. For industrial/medical use. 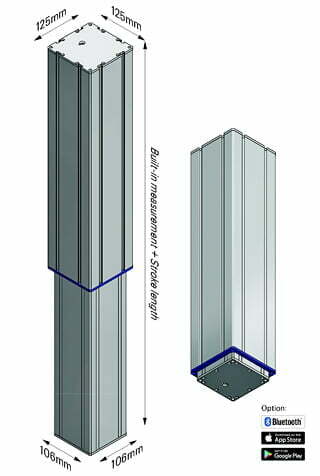 MAC4 is a completely new developed lifting column, designed to meet the requirements of aesthetics and quality in industrial workplaces. Usable in many industrial/medical applications. In the development, high stability and a reasonable price level were emphasized. 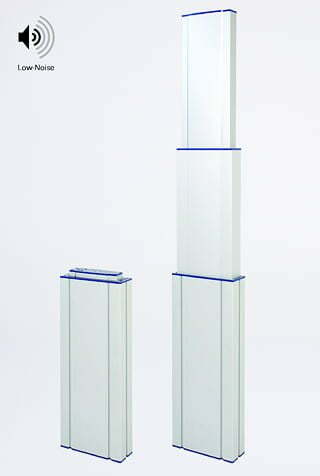 MAC4 is a Low-Noise lifting column. The lifting column is designed for loads of max. 1750N and can be moved up to 47mm/s without load. The bending moment is1000Nm. Plug & Play: You can also get MAC4 as a complete Plug & Play solution, including one or more MAC4 lifting columns, a Movetec control box 230V AC, all cables and a control panel. Option: By Selecting a control box with Bluetooth®, MAC4 are easily controlled by iPhone® or Android®-Smartphone. Options: Bluetooth® controlling for iPhone®- and Android® Smart-phones. Potentiometer. 12V DC. 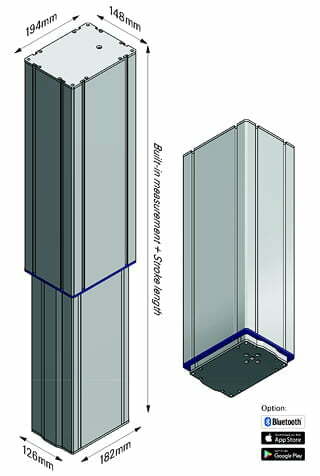 Top- and bottom mounting plates. Cable out in the outer profile (MAC4U). Control box with Lithium-Ion battery pack.100% brake. 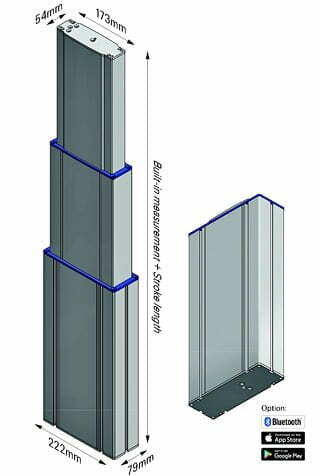 MAC4U is a completely new developed lifting column, designed to meet the requirements of aesthetics and quality in industrial workplaces. Usable in many industrial/medical applications. 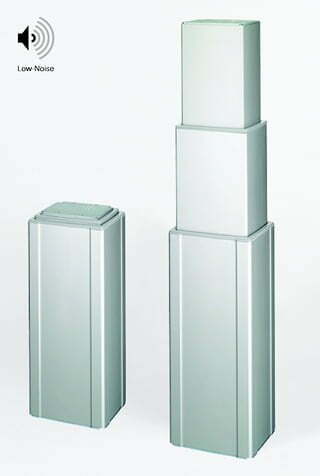 In the development, high stability and a reasonable price level were emphasized. 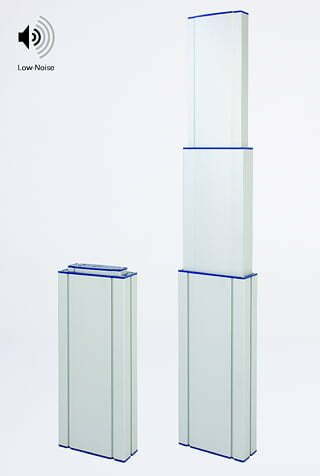 MAC4U is a Low-Noise lifting column. The lifting column is designed for loads of max. 1750N and can be moved up to 47mm/s without load. The bending moment is1000Nm. Plug & Play: You can also get MAC4U as a complete Plug & Play solution, including one or more MAC4U lifting columns, a Movetec control box 230V AC, all cables and a control panel. Option: By Selecting a control box with Bluetooth®, MAC4U are easily controlled by iPhone® or Android®-Smartphone. Options: Bluetooth® controlling for iPhone®- and Android® Smart-phones. Potentiometer. 12V DC. Top- and bottom mounting plates. Cable out in the inner profile (MAC4). Control box with Lithium-Ion battery pack. 100% brake. 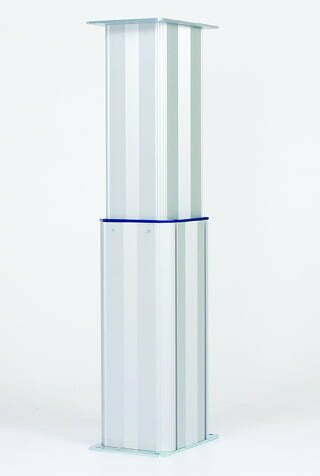 MAC5 is a completely new developed lifting column, designed to meet the requirements of aesthetics and quality in industrial workplaces. Usable in many industrial/medical applications. In the development, high stability and a reasonable price level were emphasized. 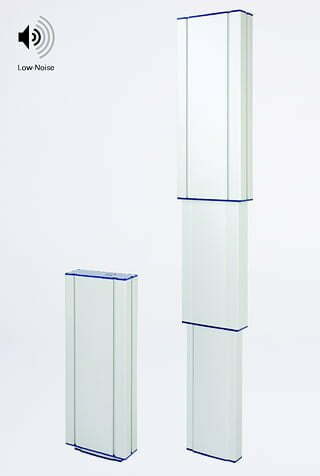 MAC5 is a Low-Noise lifting column. 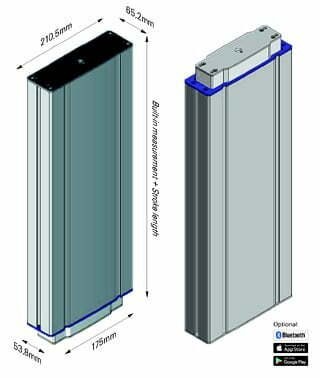 The lifting column is designed for loads of max.2250N and can be moved up to 32mm/s without load. The bending moment is1000Nm. Plug & Play: You can also get MAC5 as a complete Plug & Play solution, including one or more MAC5 lifting columns, a Movetec control box 230V AC, all cables and a control panel. Option: By Selecting a control box with Bluetooth®, MAC5 are easily controlled by iPhone® or Android®-Smartphone. Options: Bluetooth® controlling for iPhone®- and Android® Smart-phones. Potentiometer. 12V DC. Top- and bottom mounting plates. Cable out in the outer profile (MAC5U). Control box with Lithium-Ion battery pack. 100% brake. 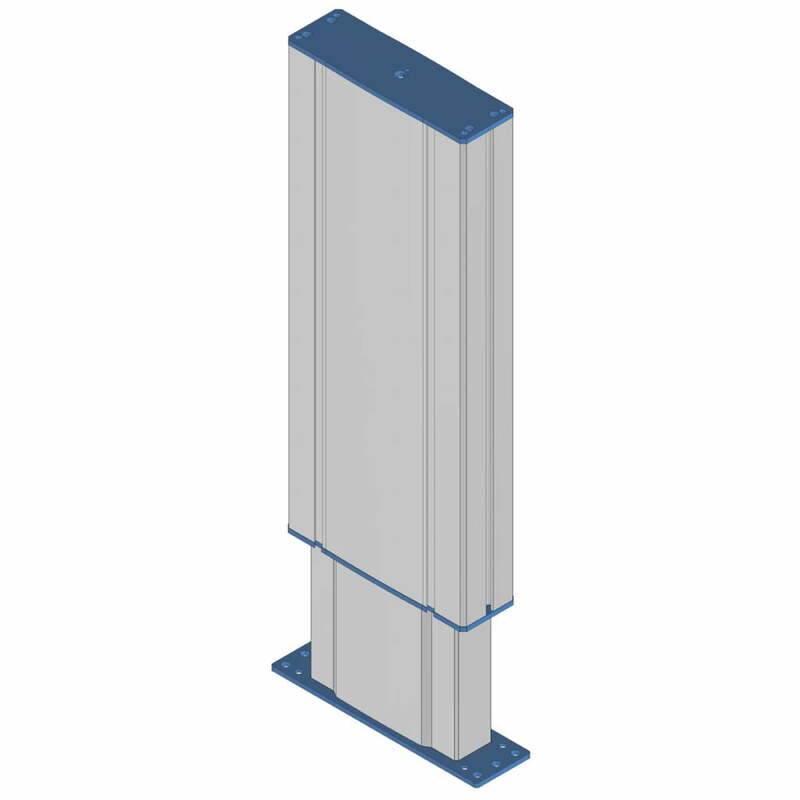 MAC5U is a completely new developed lifting column, designed to meet the requirements of aesthetics and quality in industrial workplaces. Usable in many industrial/medical applications. In the development, high stability and a reasonable price level were emphasized. 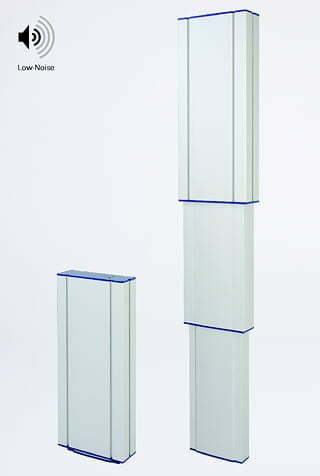 MAC5U is a Low-Noise lifting column. 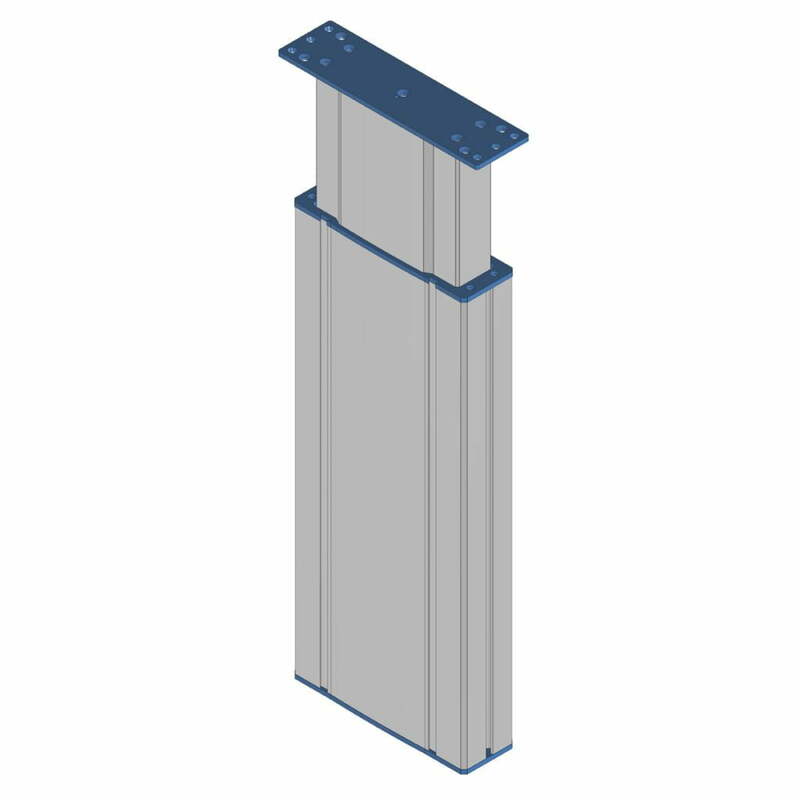 The lifting column is designed for loads of max.2250N and can be moved up to 32mm/s without load. The bending moment is1000Nm. Plug & Play: You can also get MAC5U as a complete Plug & Play solution, including one or more MAC5U lifting columns, a Movetec control box 230V AC, all cables and a control panel. Option: By Selecting a control box with Bluetooth®, MAC5U are easily controlled by iPhone® or Android®-Smartphone. Options: Bluetooth® controlling for iPhone®- and Android® Smart-phones. Potentiometer. 12V DC. Top- and bottom mounting plates. Cable out in the inner profile (MAC5). Control box with Lithium-Ion battery pack. 100% brake. Quadratic. Perfect for industrial ergonomic workplaces. 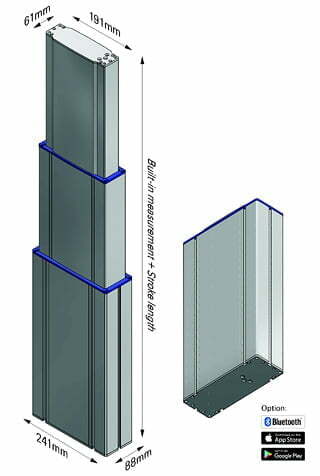 MAC11 is a completely new developed lifting column, designed to meet the requirements of aesthetics and quality in industrial workplaces. Usable in many industrial/medical applications. In the development, high stability and a reasonable price level were emphasized. 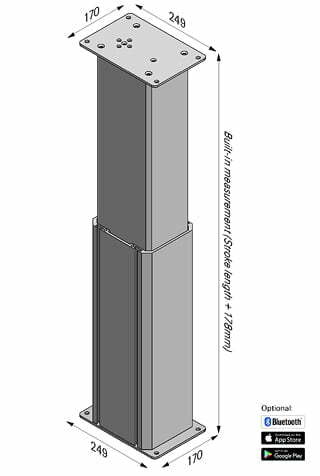 MAC11 is a Low-Noise lifting column. 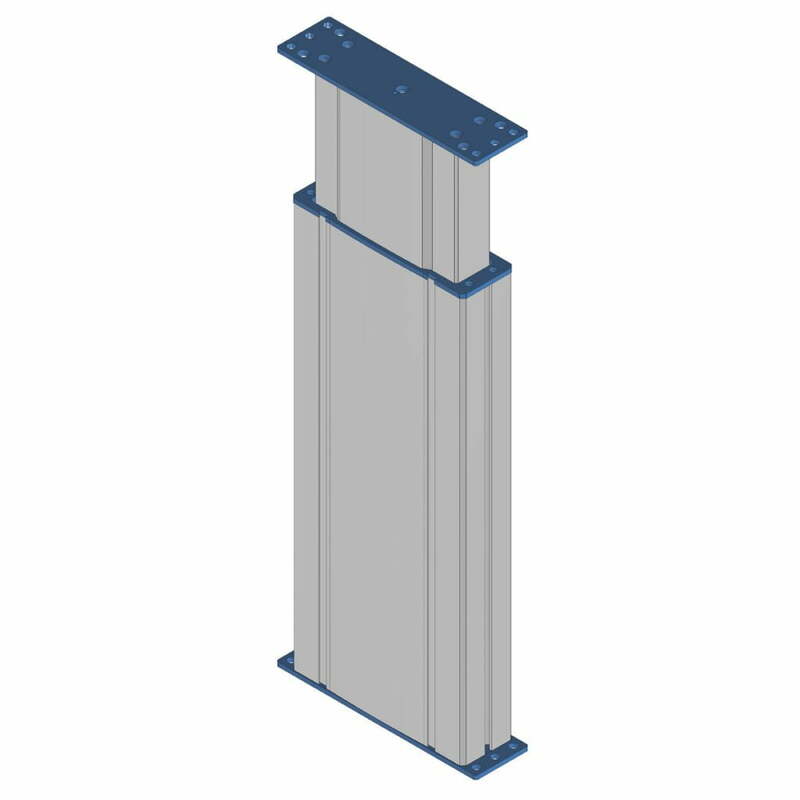 The lifting column is designed for loads of max.3500N and can be moved up to 23,5mm/s without load. The bending moment is1000Nm. Plug & Play: You can also get MAC11 as a complete Plug & Play solution, including one or more MAC11 lifting columns, a Movetec control box 230V AC, all cables and a control panel. Option: By Selecting a control box with Bluetooth®, MAC11 are easily controlled by iPhone® or Android®-Smartphone. Options: Bluetooth® controlling for iPhone®- and Android® Smart-phones. Potentiometer. 12V DC. Top- and bottom mounting plates. Cable out in the outer profile (MAC11U). Control box with Lithium-Ion battery pack. 100% brake. 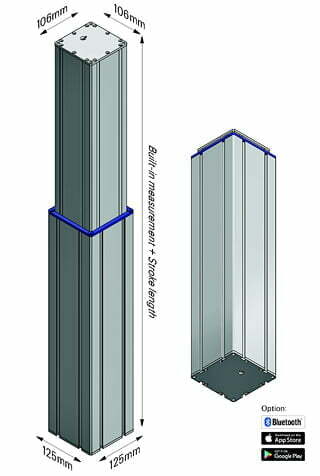 MAC11U is a completely new developed lifting column, designed to meet the requirements of aesthetics and quality in industrial workplaces. Usable in many industrial/medical applications. In the development, high stability and a reasonable price level were emphasized. 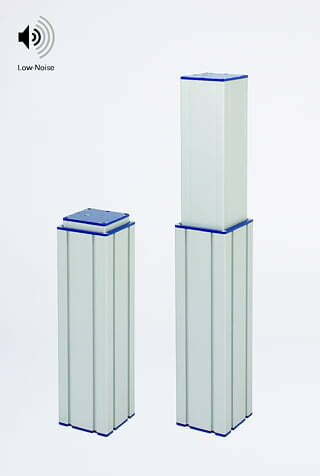 MAC11U is a Low-Noise lifting column. 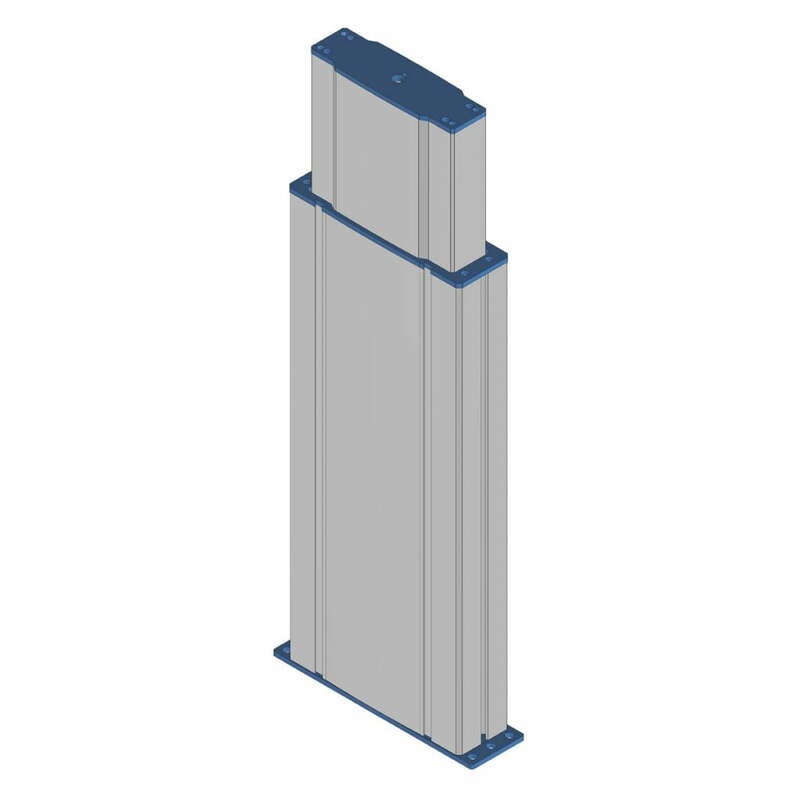 The lifting column is designed for loads of max.3500N and can be moved up to 23,5mm/s without load. The bending moment is1000Nm. Plug & Play: You can also get MAC11U as a complete Plug & Play solution, including one or more MAC11U lifting columns, a Movetec control box 230V AC, all cables and a control panel. Option: By Selecting a control box with Bluetooth®, MAC11U are easily controlled by iPhone® or Android®-Smartphone. Options: Bluetooth® controlling for iPhone®- and Android® Smart-phones. Potentiometer. 12V DC. Top- and bottom mounting plates. Cable out in the inner profile (MAC11). Control box with Lithium-Ion battery pack. 100% brake. 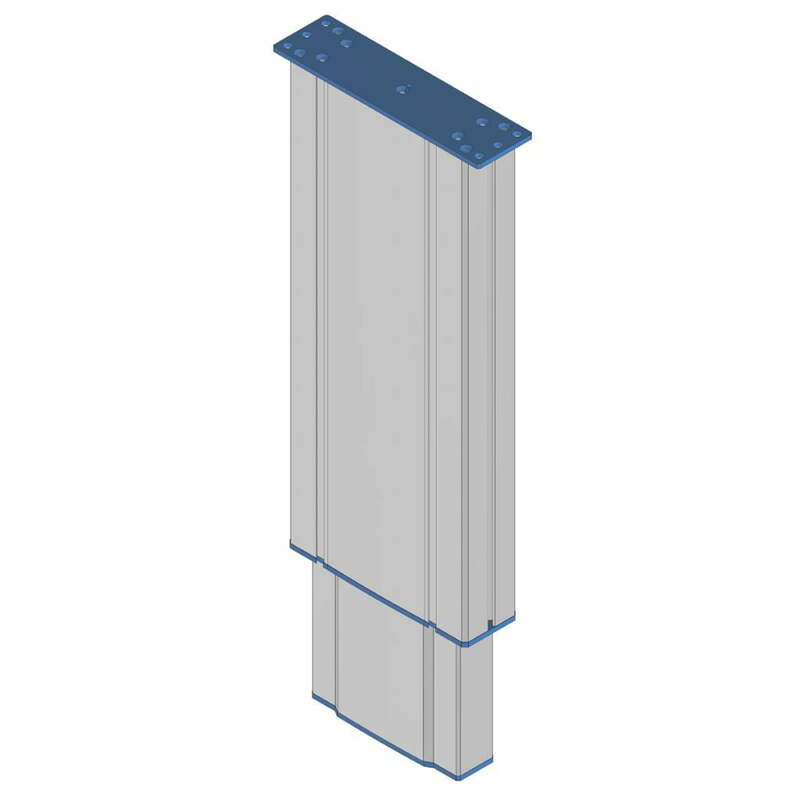 MAC12 is a completely new developed lifting column, designed to meet the requirements of aesthetics and quality in industrial workplaces. Usable in many industrial/medical applications. In the development, high stability and a reasonable price level were emphasized. 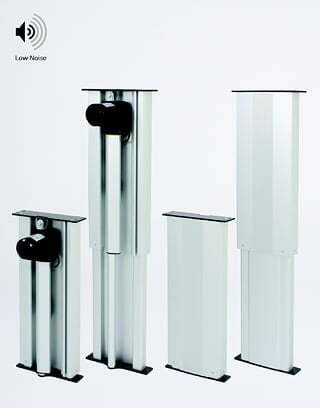 MAC12 is a Low-Noise lifting column. 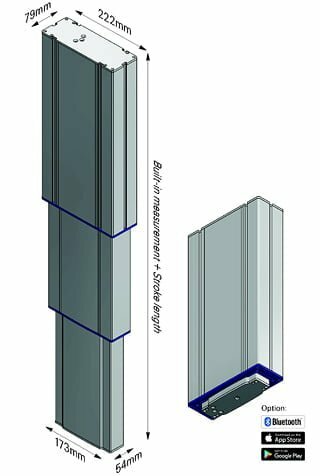 The lifting column is designed for loads of max.1750N and can be moved up to 47mm/s without load. The bending moment is1000Nm. Plug & Play: You can also get MAC12 as a complete Plug & Play solution, including one or more MAC12 lifting columns, a Movetec controlbox 230V AC, all cables and a control panel. Option: By Selecting a control box with Bluetooth®, MAC12 are easily controlled by iPhone® or Android®-Smartphone. Options: Bluetooth® controlling for iPhone®- and Android® Smart-phones. Potentiometer. 12V DC. Top- and bottom mounting plates. Cable out in the outer profile (MAC12U). Control box with Lithium-Ion battery pack. 100% brake. 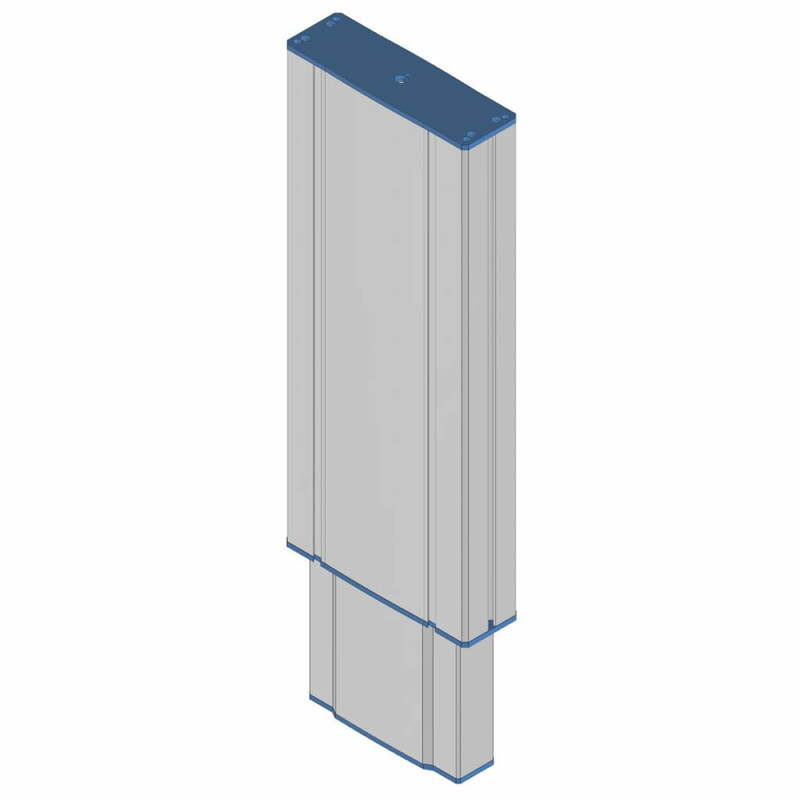 MAC12U is a completely new developed lifting column, designed to meet the requirements of aesthetics and quality in industrial workplaces. Usable in many industrial/medical applications. In the development, high stability and a reasonable price level were emphasized. MAC12U is a Low-Noise lifting column. 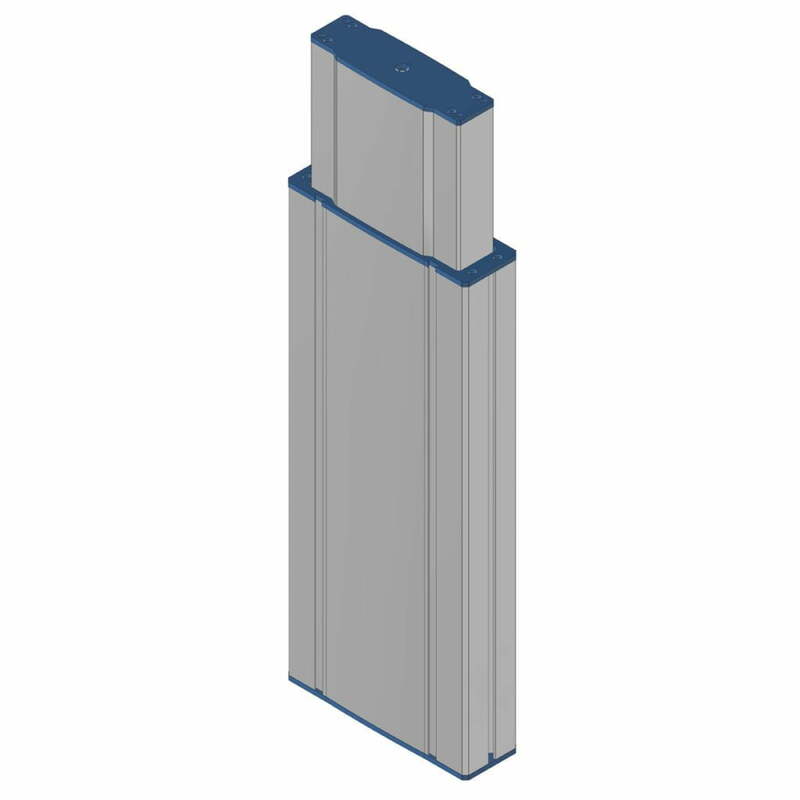 The lifting column is designed for loads of max.1750N and can be moved up to 47mm/s without load. The bending moment is1000Nm. Plug & Play: You can also get MAC12U as a complete Plug & Play solution, including one or more MAC12U lifting columns, a Movetec control box 230V AC, all cables and a control panel. Option: By Selecting a control box with Bluetooth®, MAC12U are easily controlled by iPhone® or Android®-Smartphone. Options: Bluetooth® controlling for iPhone®- and Android® Smart-phones. Potentiometer. 12V DC. Top- and bottom mounting plates. Cable out in the inner profile (MAC12). Control box with Lithium-Ion battery pack. 100% brake. Very strong and stable lifting column for industrial use. MAC14 – developed to lift/move very heavy loads (up to 10000N) at slower speed and lighter tasks at higher speed. Designed to meet the requirements of aesthetics and quality in industrial workplaces. In the development, high stability and a reasonable price level were emphasized. Speed up to 39mm/s without load. The bending moment is1000Nm. 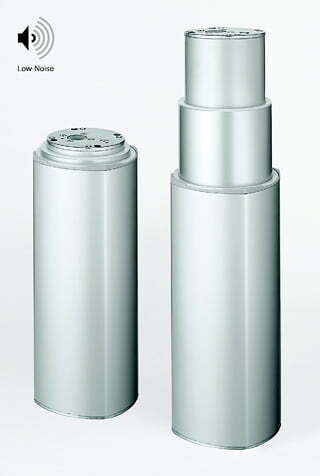 MAC14 is a Low-Noise lifting column and usable in many industrial applications. Plug & Play: You can also get MAC14 as a complete Plug & Play solution, including one or more MAC14 lifting columns, a Movetec control box 230V AC, all cables and a control panel. Option: By Selecting a control box with Bluetooth®, MAC14 are easily controlled by iPhone® or Android®-Smartphone. Options: Bluetooth® controlling for iPhone®- and Android® Smart-phones. Potentiometer. 12V DC. Top- and bottom mounting plates. Cable out in the outer profile (MAC14U). Control box with Lithium-Ion battery pack. 100% brake. 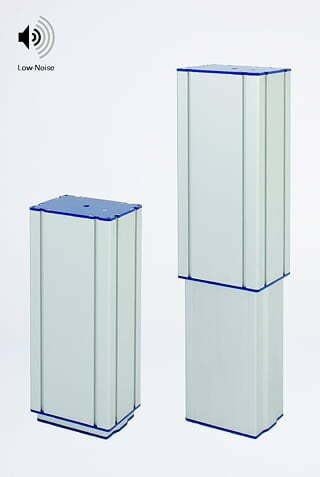 is a Low-Noise lifting column and usable in many industrial applications. Plug & Play: You can also get MAC14U as a complete Plug & Play solution, including one or more MAC14U lifting columns, a Movetec control box 230V AC, all cables and a control panel. Option: By Selecting a control box with Bluetooth®, MAC14U are easily controlled by iPhone® or Android®-Smartphone. Options: Bluetooth® controlling for iPhone®- and Android® Smart-phones. Potentiometer. 12V DC. Top- and bottom mounting plates. Cable out in the inner profile (MAC14). Control box with Lithium-Ion battery pack. 100% brake. To build stable/reliable, ergonomic workplaces. Flexible. MAC210-00 has been specially developed to build stable/reliable and ergonomic workstations. This lifting column is extremely flexible as it is very easy to change the actuator and thus change the lifting force in MAC210-00. Plug & Play: MAC210-00 is available as a Plug & Play solution, with one or more MAC210-00 columns, a Movetec control box 230 VAC, all cables and a control panel. Selecting a control box with Bluetooth®, the MAC210-00 can easily be controlled by an iPhone® or Android® Smartphone. Options: Bluetooth® Control for iPhone® and Android® Smartphones. Potentiometer. 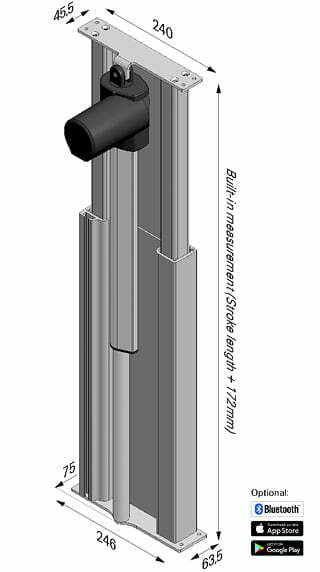 Stroke length up to 700mm. Small profile up. 8000N (Max. stroke length 300mm). 12V DC. 100% brake. MAC210-10 has been specially developed to build stable/reliable and ergonomic workstations. This lifting column is extremely flexible as it is very easy to change the actuator and thus change the lifting force in MAC210-10. Plug & Play: MAC210-10 is available as a Plug & Play solution, with one or more MAC210-10 columns, a Movetec control box 230 VAC, all cables and a control panel. Selecting a control box with Bluetooth®, the MAC210-10 can easily be controlled by an iPhone® or Android® Smartphone. Options: Bluetooth® Control for iPhone® and Android® Smartphones. Potentiometer. Stroke length up to 700mm. 8000N (Max. stroke length 300mm). 12V DC. 100% brake. Designed for low installation height and a large stroke. 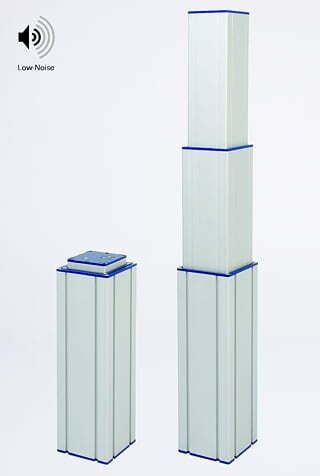 MAC3 is a modern developed 3-part lifting column. Optimized for a very quiet running and designed for a very stable installation. 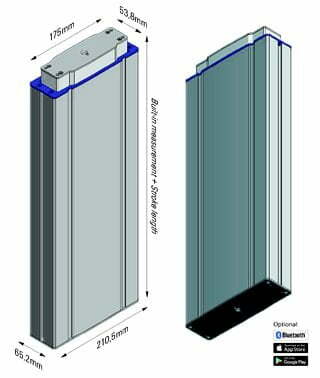 MAC3 is suitable for constructions requiring a small installation height and a large stroke. MAC3 have all approvals for medical purposes. Plug & Play: MAC3 is available as a complete Plug & Play solution, including one or more MAC3 lifting columns, a Movetec control box 230 VAC, all cables and control panel. Selecting a control with Bluetooth®, MAC3 are easily controlled by the iPhone® or Android®- Smartphone. Options: Bluetooth® controlling for iPhone® and Android®- Smart-phones. Potentiometer. 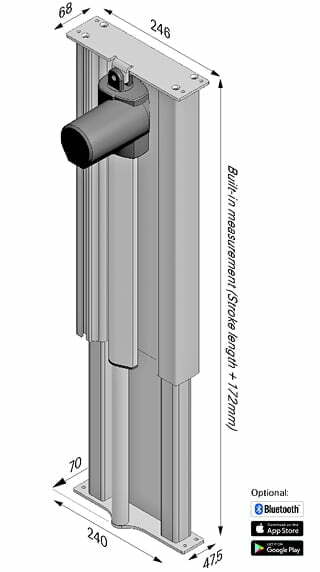 Stroke length up to 1200mm. Hall sensors. 12VDC. Designed for low installation height and long stroke. 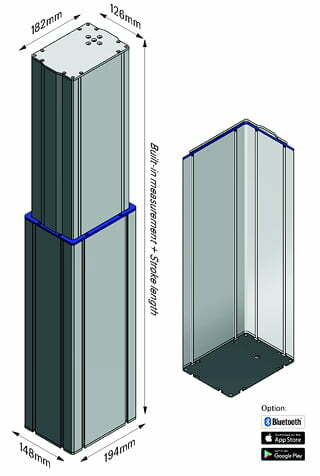 MAC8 is a modern developed 3-part lifting column. Optimized for a very quiet running. Very stable, low installation height and long stroke. 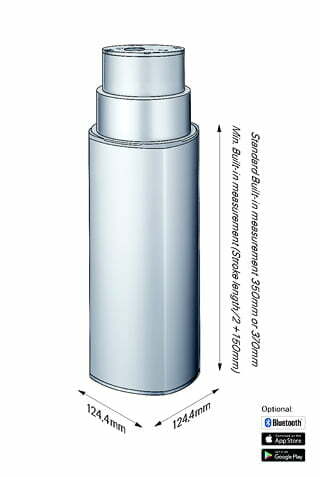 MAC8 is a standard 1000/2000N lifting column. 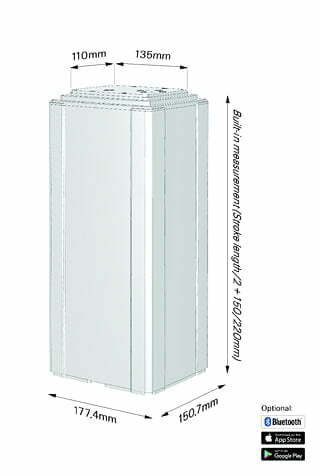 Installation height 350mm/370mm. MAC8 have all authorizations for medical purposes. Plug & Play: MAC8 is available as a complete Plug & Play solution, including one or more MAC8 lifting columns, a Movetec control box 230 VAC, all cables and control panel. Selecting a control with Bluetooth®, MAC8 are easily controlled by the iPhone® or Android®- Smartphone. Options: Bluetooth® controlling for iPhone® and Android®- Smartphones. Hall sensors.12V DC. Potentiometer. Other stroke lengths. MAC192-00 has been developed to move/lift very heavy loads (up to 10000N) at slower speed, and lighter tasks at higher speed. The MAC192-00 is a very strong industrial lifting column. Plug & Play: MAC192-00 is available as a plug & play solution, in combination with one or more MAC192-00 lifting columns, Movetec control box 230 VAC, all cables and a control panel. Option: Selecting a control box with Bluetooth®, the MAC192-00 can easily be controlled by an iPhone® or Android® Smartphone. Options: Bluetooth® controlling for iPhone® and Android® Smart-phones. Potentiometer. Lifting capacity up to 10000N. 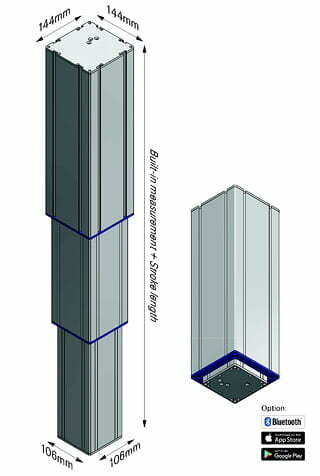 Stroke length up to 1000mm. Cable out in the smallest profile. 12V DC. 100% brake. Strong, reliable lifting column for industrial use. MAC192-10 has been developed to move/lift very heavy loads (up to 10000N) at slower speed, and lighter tasks at higher speed. The MAC192-10 is a very strong industrial lifting column. Plug & Play: MAC192-10 is available as a plug & play solution, in combination with one or more MAC192-10 lifting columns, Movetec control box 230 VAC, all cables and a control panel. Option: Selecting a control box with Bluetooth®, the MAC192-10 can easily be controlled by an iPhone® or Android® Smartphone. Options: Bluetooth® controlling for iPhone® and Android® Smart-phones. Potentiometer. Lifting capacity up to 10000N. 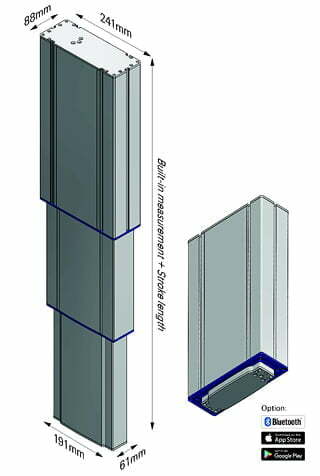 Stroke length up to 1000mm. Cable out in the biggest/outer profile. 12V DC. 100% brake.